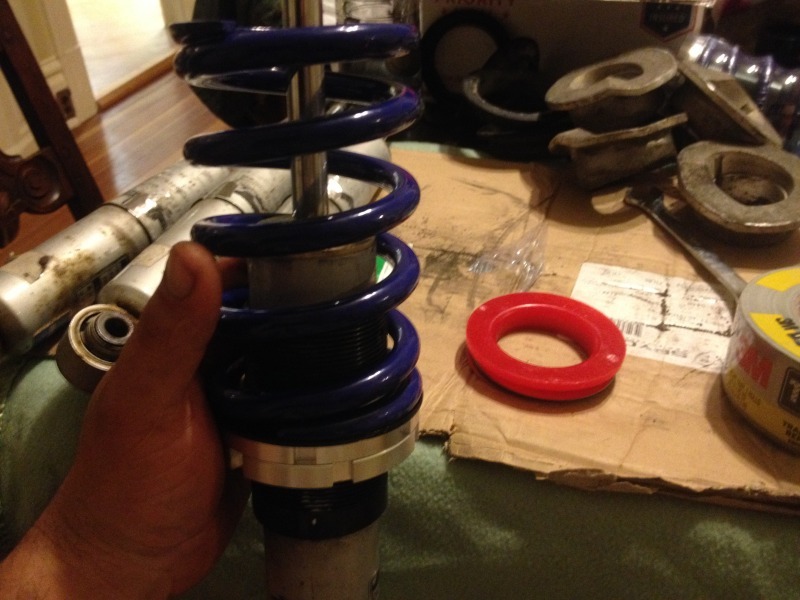 The Better Bilstein Ebay Coilover Thread - Miata Turbo Forum - Boost cars, acquire cats. 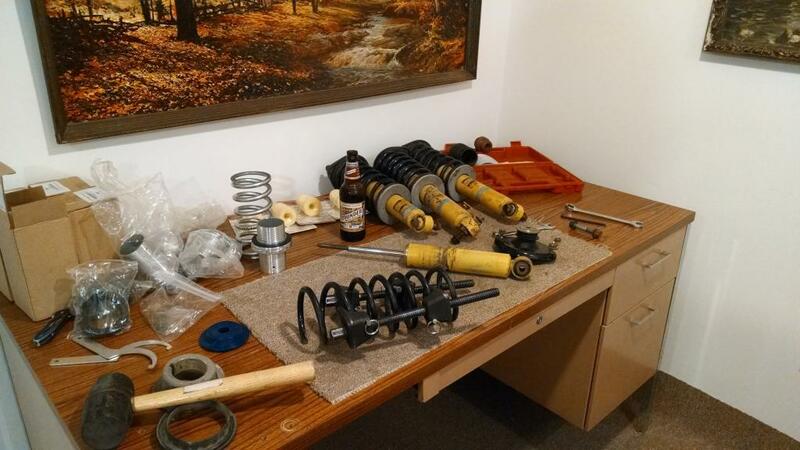 Post up any issues, builds, spring rates measured/used, prices, links, revalve dyno's, etc. DO post new questions not already answered, Don't post the same questions already answered. 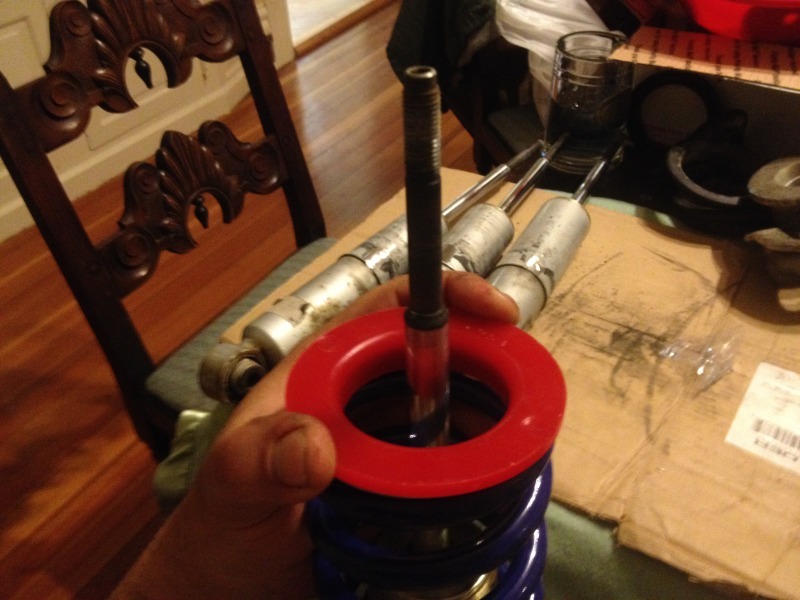 Bilstein Coilover builds only! 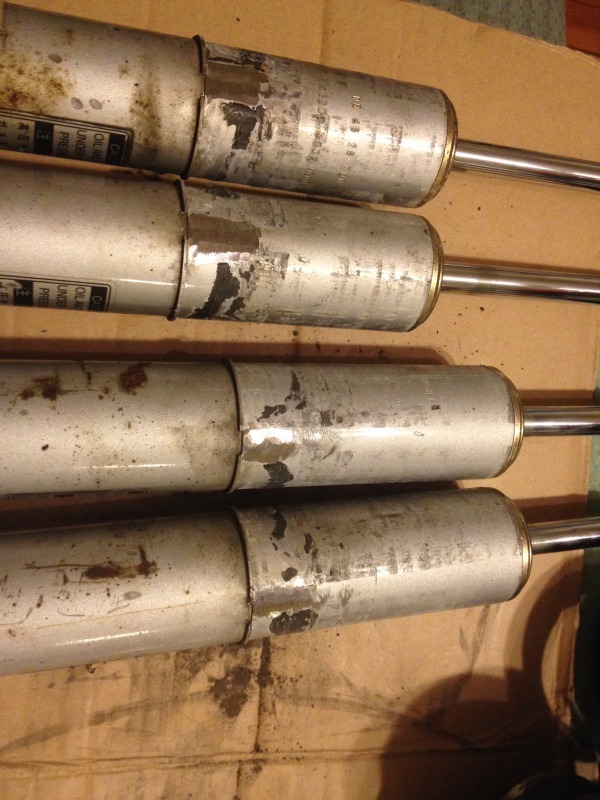 No mucking it up with Koni's, stock shocks, blabla. Step one buy some Bilsteins new or used. If you bought them used take them apart now. You might be saying to yourself "This is too hard, its complicated." Man up, my 2 year old can build these. Spoon fed. Pop those top hats and springs off. 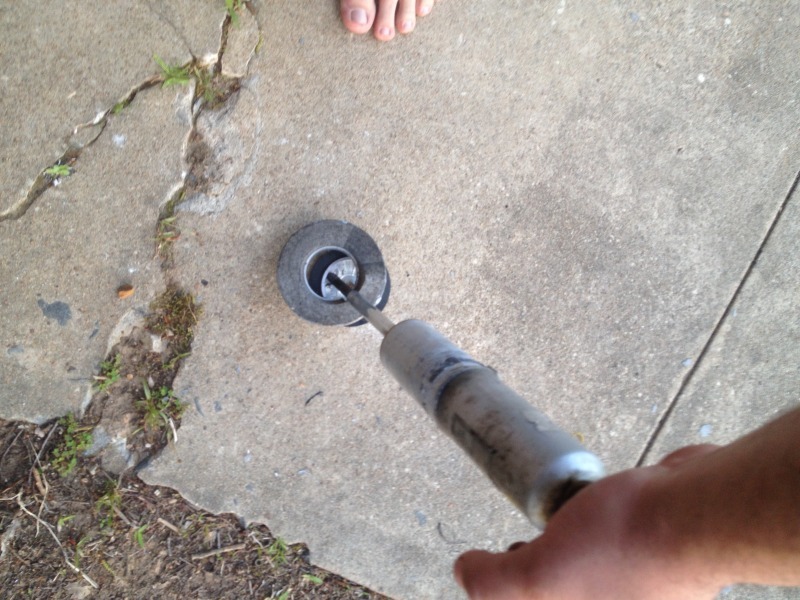 You should use a spring compressor, I didn't. It will pop like a tube of biscuits. 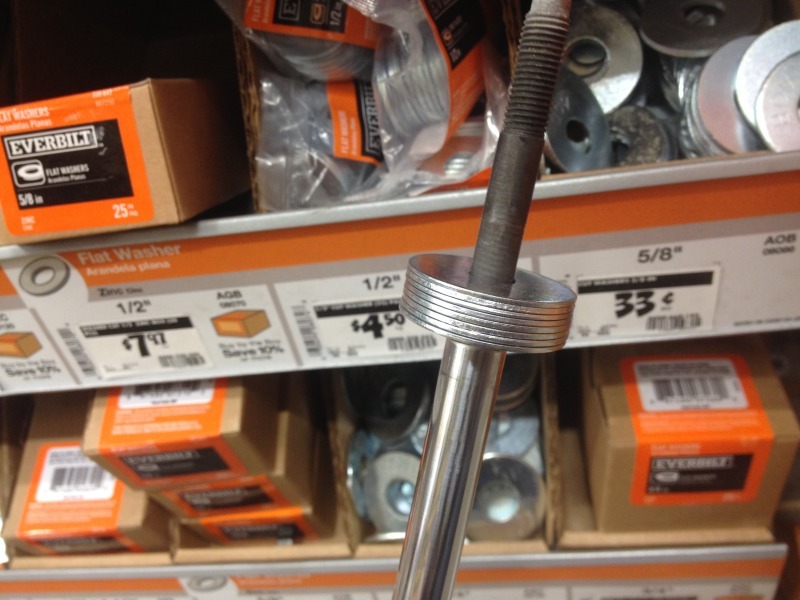 Turn the shock upside down, put the threaded end on something soft like wood or aluminum. Now beat the crap out of the spring perch with a 3lbs sledge, like a viking warrior chopping a head off with a hatchet. It will eventually fall off. If you have this tab on your shock, grind it off. 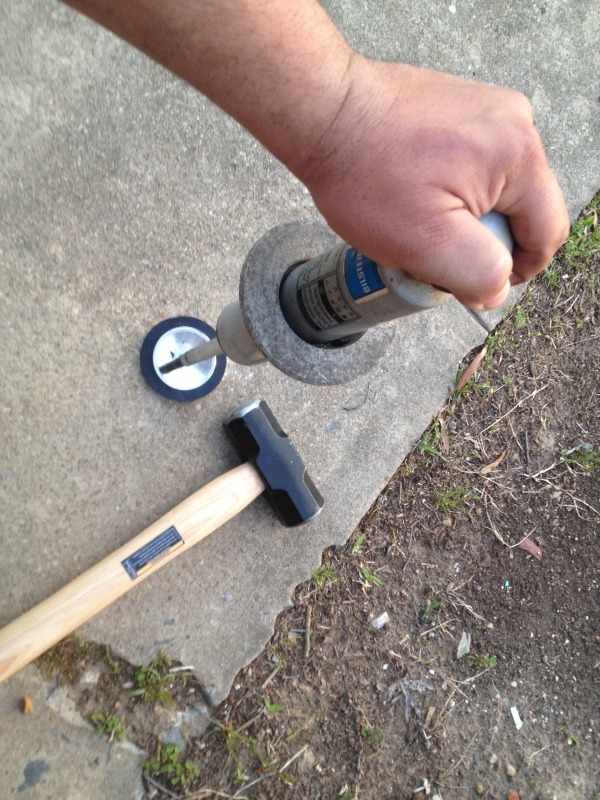 You should wear safety glasses, gloves, and use a vice. I didn't, but I'm really strong and have special eyes. It should look like this when done. 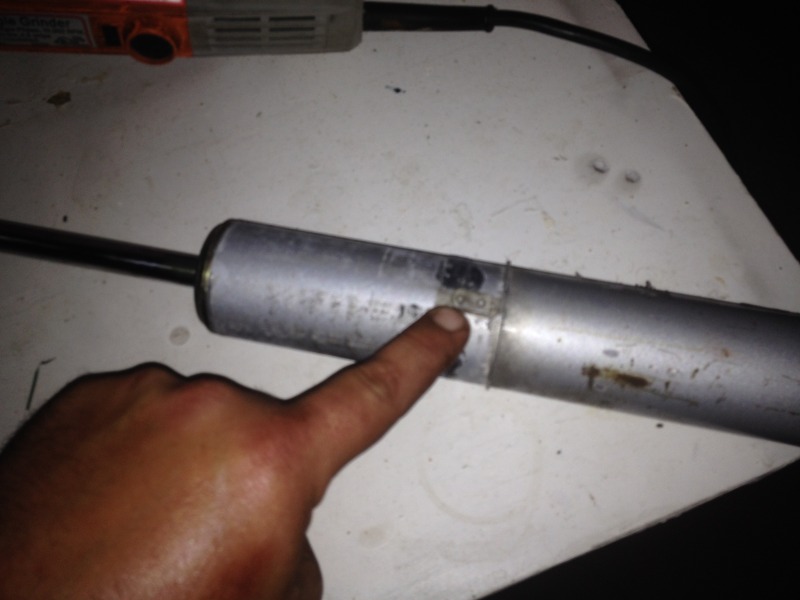 Don't grind a hole in your shock dummy. Slide your ebay collar on to this c-clip. No lube required. Last edited by jacob300zx; 04-10-2014 at 11:20 PM. It sits on the C-clip like this. 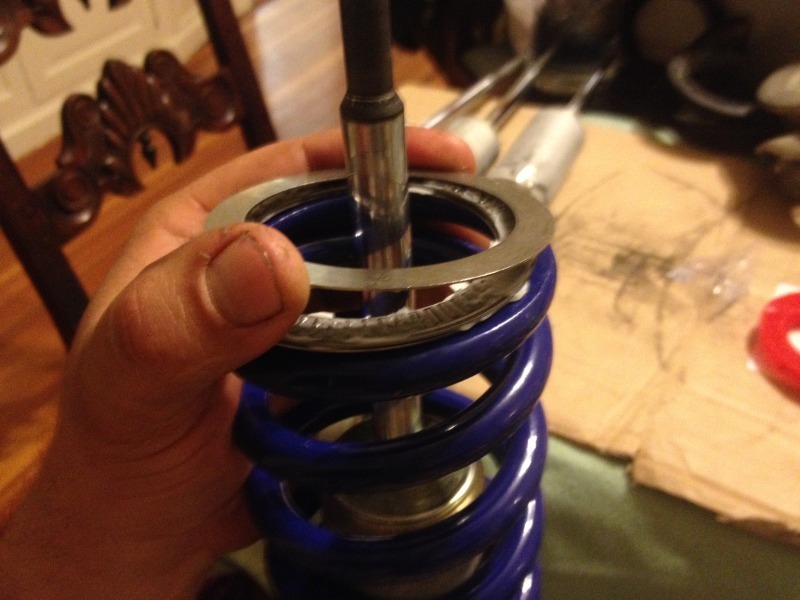 Now put your adjustable perches on and your spring. 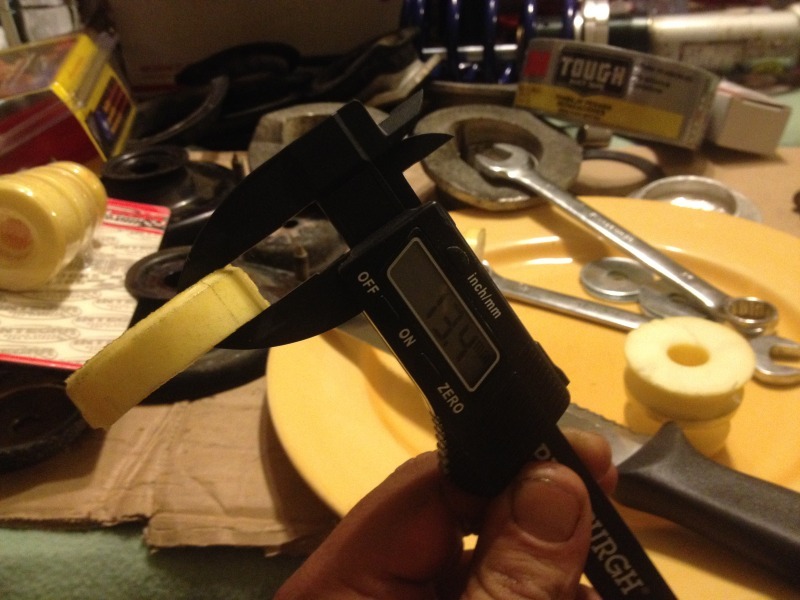 Measure your springs, the thinner gauge steel goes on the rear which is the shorter shock. Thicker gauge goes on the front with the longer shock. Trim your bumpstops down to between 30-40mm. Put some QA1 torrington bearings on that ****, Xida's have them. Put some poly isolators on those dudes, the springs are short and you don't like loud NVH. 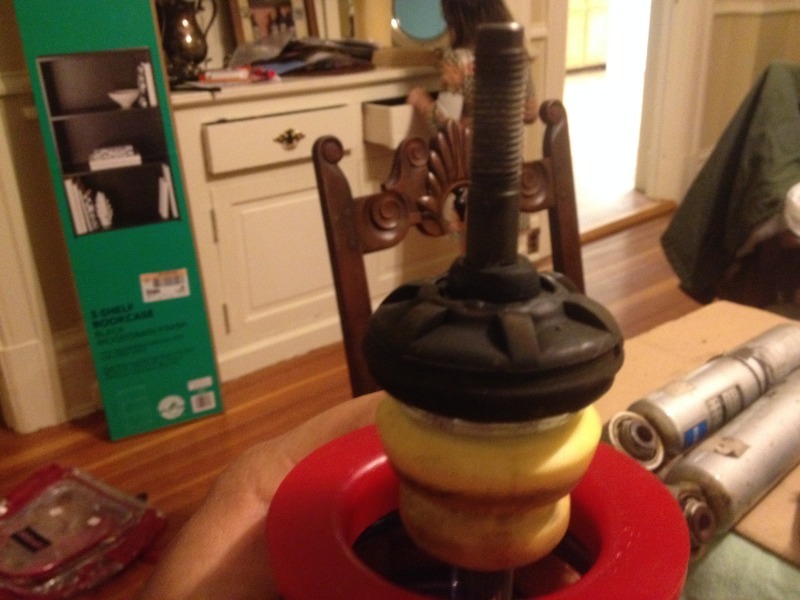 Dont use that bump stop washer cup. 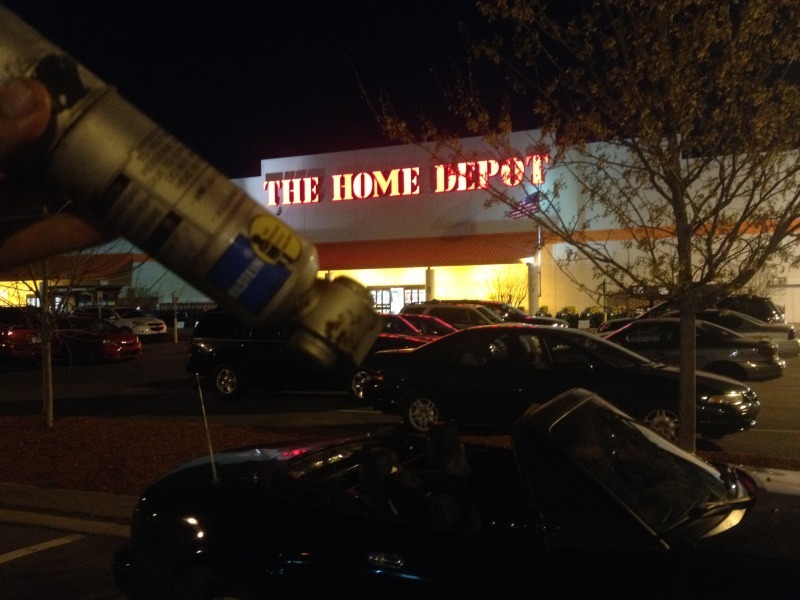 Do go to HDR Home Depot Racing and get 8 flat replacements, use two per shock. 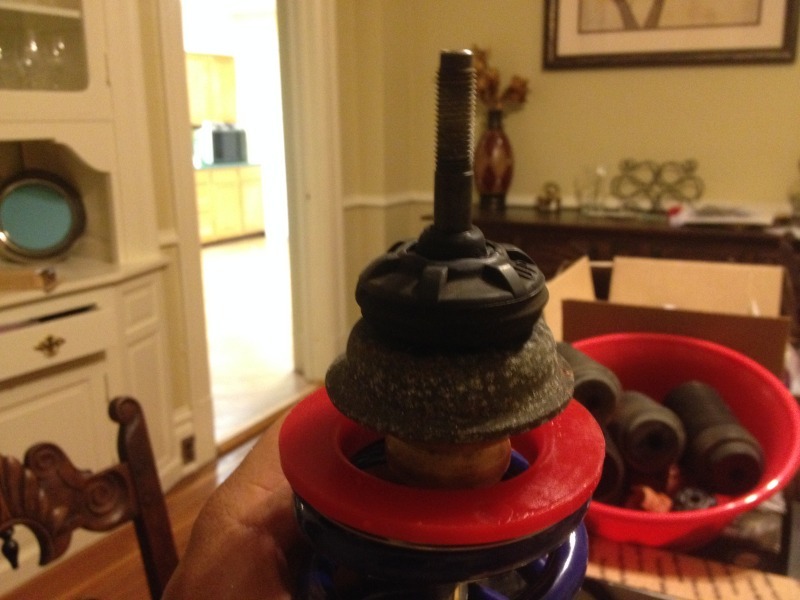 Now put the top hat bushing on. 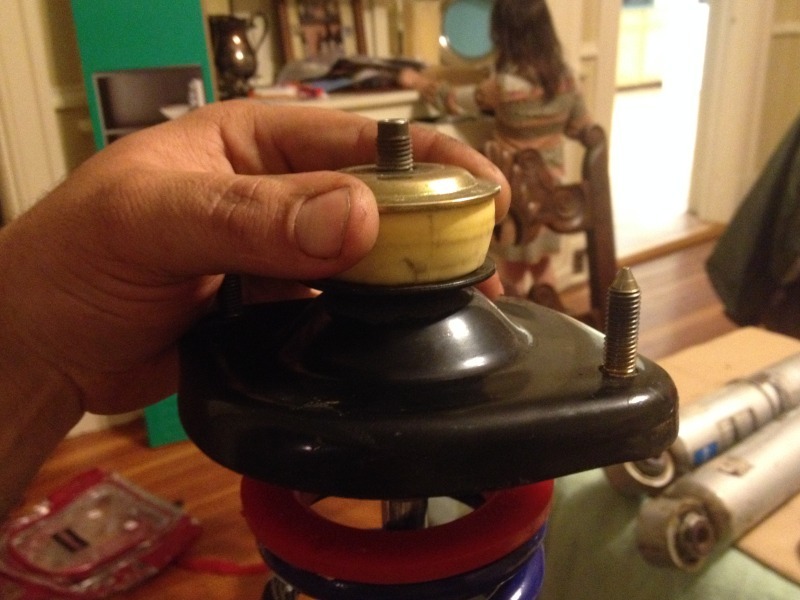 Put the top hat, rest of your cut bump stop, and washer on it. 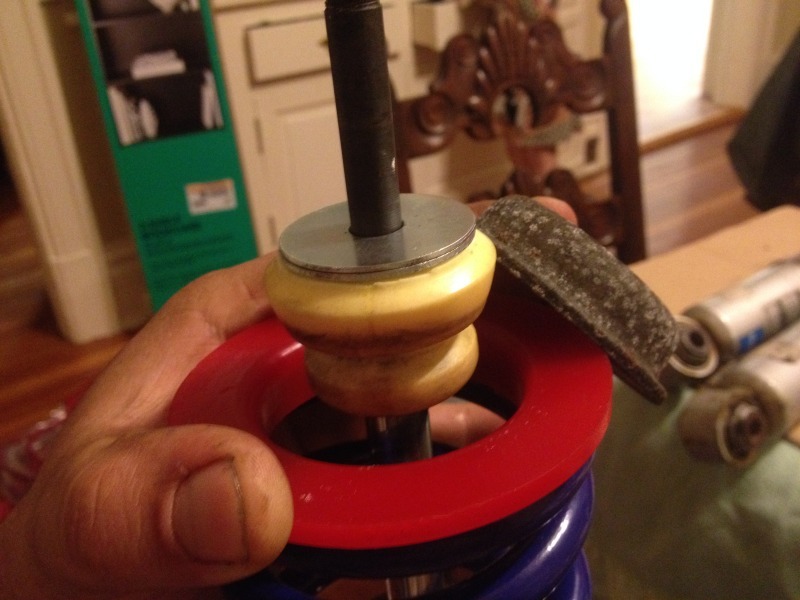 Why am I using the left over bump stop as a bushing? fatcat says it gets rid of NVH and its free. You can also use some medium hard ones from summit. Last edited by jacob300zx; 04-10-2014 at 11:16 PM. Dude. Great pics and write-up. 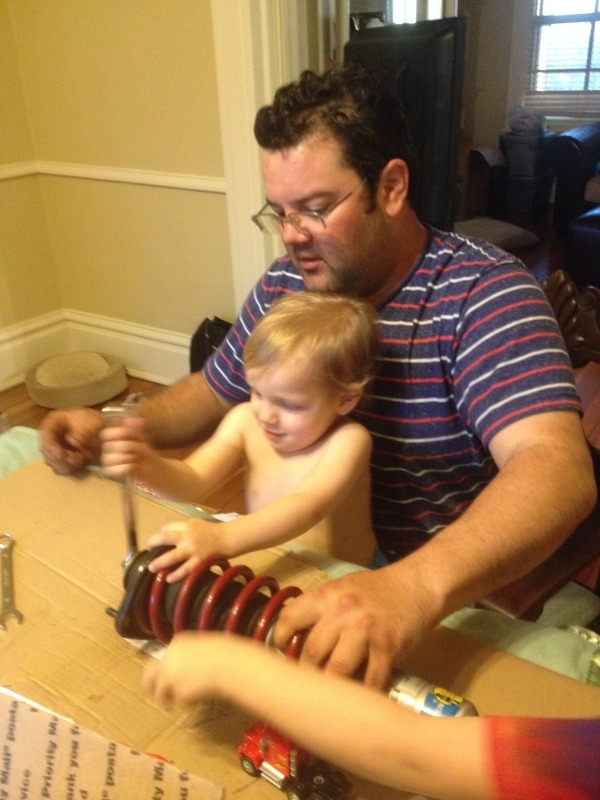 Just one question though... shouldn't you be putting those pimp-*** torrington bearings underneath the spring? I mean... that's where they are in the Xida setups that I've seen. Ah. That makes sense. Thanks! Awesome post, thanks for taking the time to detail this. Ours have held much more spring than what Jake has from eBay. That's not the issue at hand with this setup. I let Jake know where the problem would be as these are the longest shocks stuck under miatas. I gave you a bunch of props for this thread. But I fear the QCB might go through and remove all my props once he sees the poor photography. 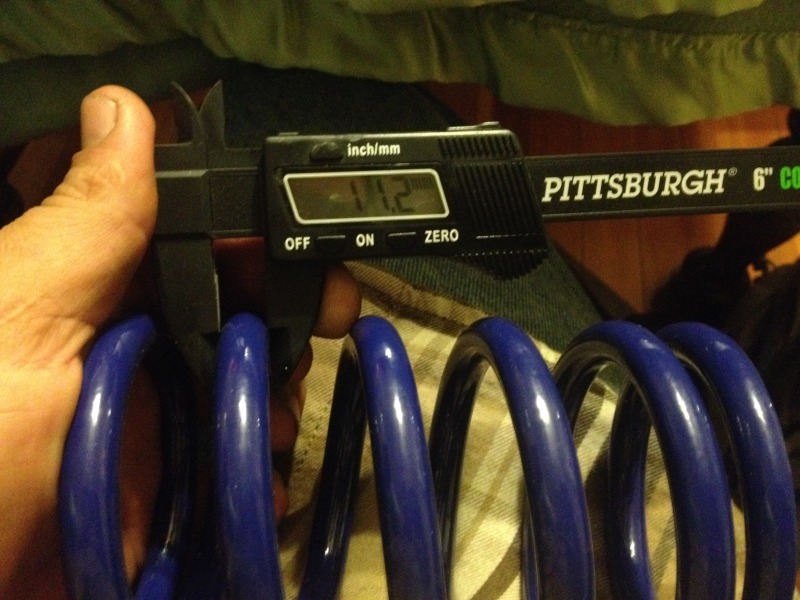 Yes the Mazdaspeed Miata came with the longest shock bodies of any Bilstein for the Miata. They also came with the stiffest valving. 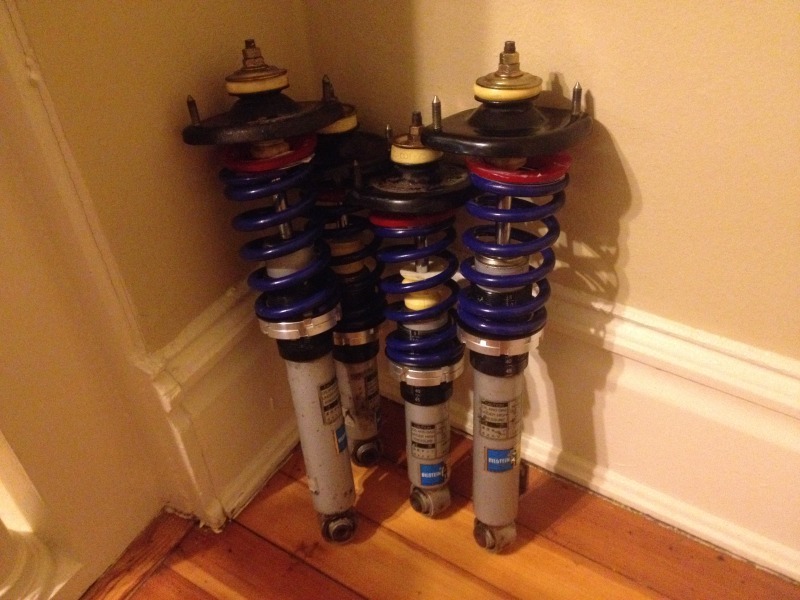 For a comfy street setup with occasional track/autox these are better than most OTS adjustable shocks under 1k. 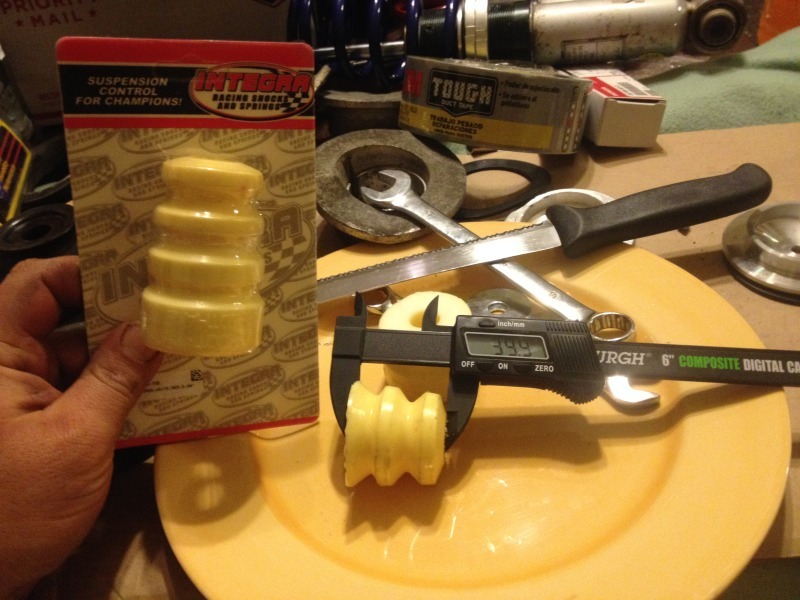 Ideally you want a shortened Bilstein with custom valving. I think Frank is running some of these. 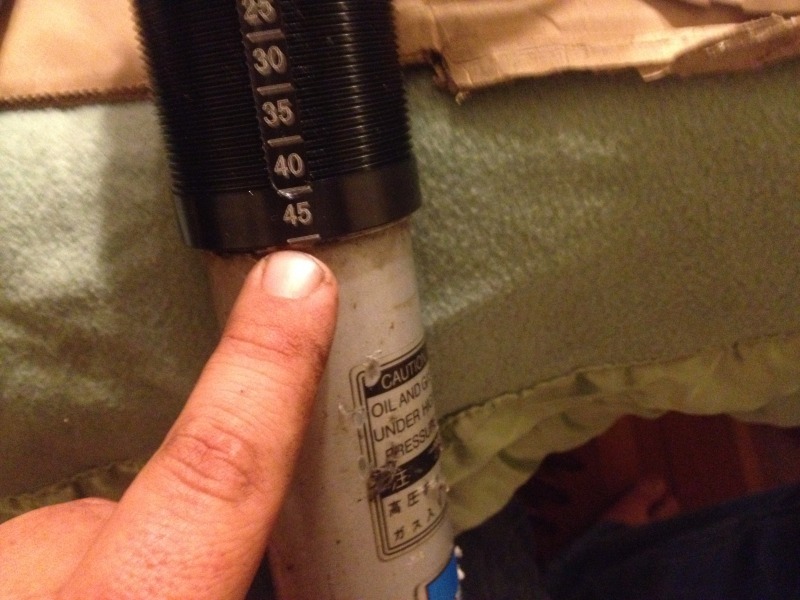 You should post up any pics you got Frank of your Bilstein ****. I have five days off work and was tired of my blown shocks. Built these in a couple of hours and for around $500 bucks. Next setup will be something even better. Now if I could do something like this for my civic I'd be in po people heaven. Man, seems like there's been a lot of spoon-feeding going on around here lately. I got mine all torn down last night. Thanks a lot for the help, just waiting on my torrington bearings. Hoping for a nice improvement over my 150k mile Showas - going to be running 450/300 7" QA1s. This thread just body-slammed that m.net thread on the same subject with 8 million posts going over the same 3 issues. For anyone concerned about the MSM shock length, do this same setup but with ISC tophats. I had a set up like this (actually, I think I bought it from Jake) and it handled fantastically and had a surprisingly plush ride. If you guys want to get more advanced re-valving these are a piece of cake. 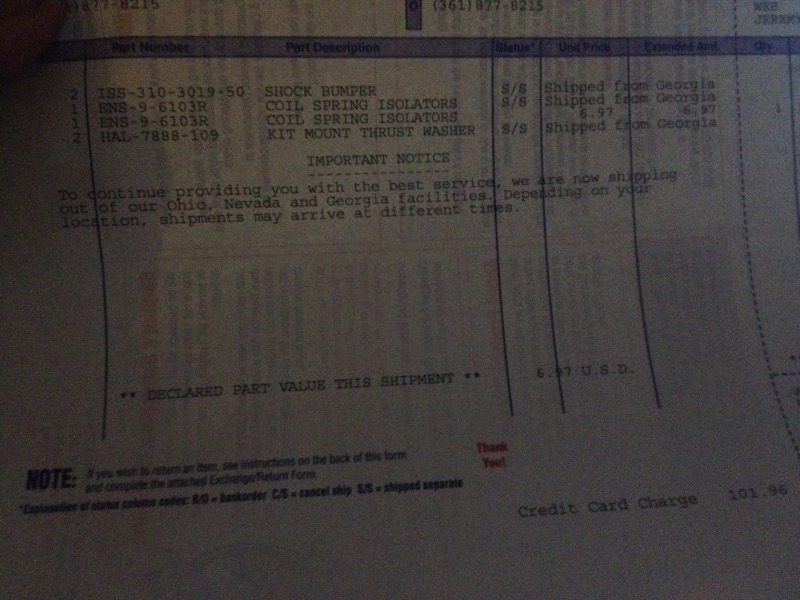 You need new shock oil that costs like $15/gallon and a shrader valve for each shock that cost $2.50 each. Different valving bits are cheap as well. The downside is that no one sells an off the shelf shaft thats drilled for the adjuster that fits our shafts so none of those cheap adjustable conversion. And thats why sometimes fatcats take a while to get made, Shaik has to send the rods out to a guy to get gun drilled. The hardest part is compression the cap and getting the stupid clip in and out. 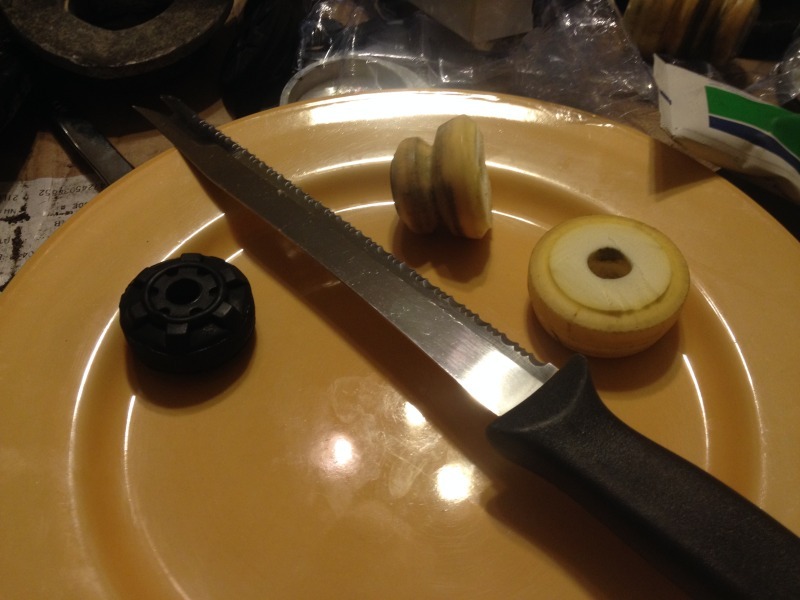 IIRC once you get it out once you can replace it with a snap ring that's a billion times easier to take in and out. This is what I run. It is a really nice setup. What do you guys think about this setup with NA bilsteins, miata GC coilovers (475/350 or something like that) and NB tophats/fcm bumpstops? I'm thinking it should ride comfortably and handle pretty great. 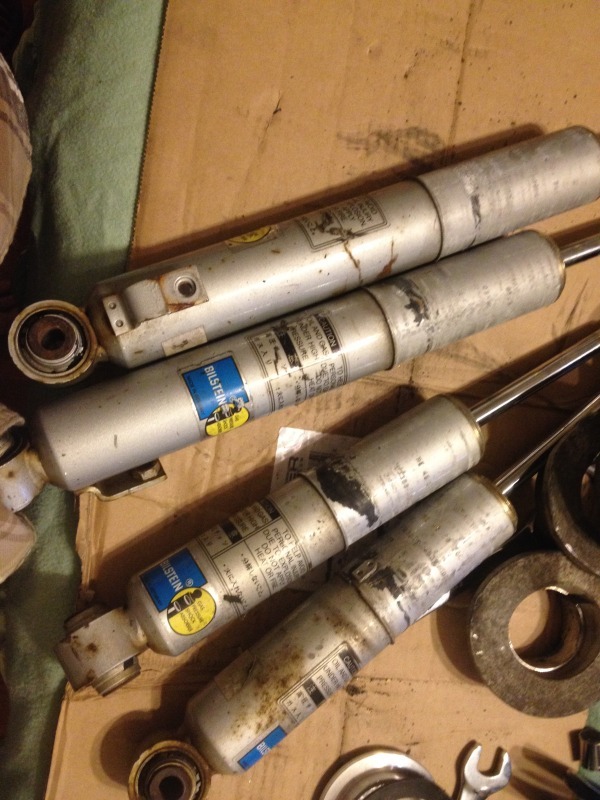 Also, does anybody know what I'd need to make a bilstein shock work with my GC coilovers? They are for kyb agx right now, so I'm pretty sure i will need some adapter rings or something to make the collars sit on the bilsteins. NA shocks are shorter travel. With NB top hats, NA springs, perches, it makes the car low. I have NA Konis with drilled NB top hats, FCM bumps, the car is too low and I'm dying for some decent NB shocks myself (with coils, perches, to match).